Recently, QACTV visited Chesapeake Investment Planning to learn more about our financial advisory & investment services. Hi there we're here with Todd and Todd's with Chesapeake Investment Planning. How are you? Good, it's good to be here today. 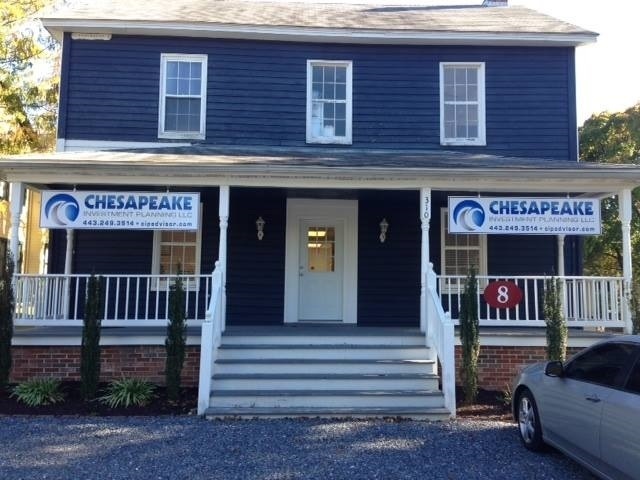 Tell me all about what you do here at Chesapeake Investment Planning. We're an independent financial planning firm and we specialize in creating financial plans for our clients. There's many areas that we look at a few of those are asset accumulation, we do retirement planning, income planning, estate planning and risk management services where we look at life insurance, long-term care disability and Medicare supplement plans. We do a wide range of things here that's all part of the financial planning process. I heard everything that everyone needs, it's really very interesting because it's so much involved with the Medicare supplement plan. That's a lot involved and the estate planning is critical. income planning is more and more important as well. Thank you, we didn't know you had all the services so it's awesome and you're right here in Stevensville. Megan tell us how can the public contact you. They can contact us via phone at 443.249.3514 or visit us on our website which is www.cipadvisor.com. We also have a Facebook page so if you like and follow our Facebook page we post a couple things a week as well as any events that we have going on. So we are right here in downtown Stevensville at 310 Love Point Road. Come by and see us.